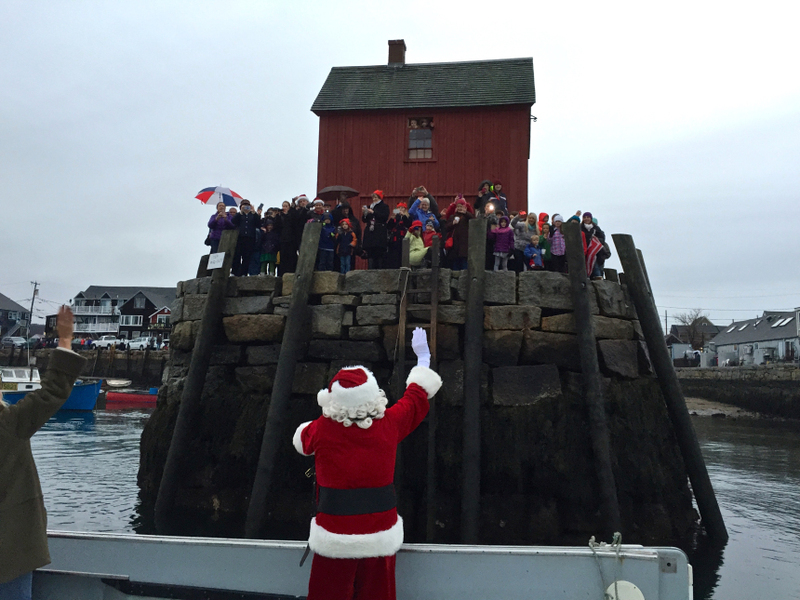 Earlier this month, we met some friends up in Rockport for the town’s annual Christmas celebration and tree lighting ceremony. 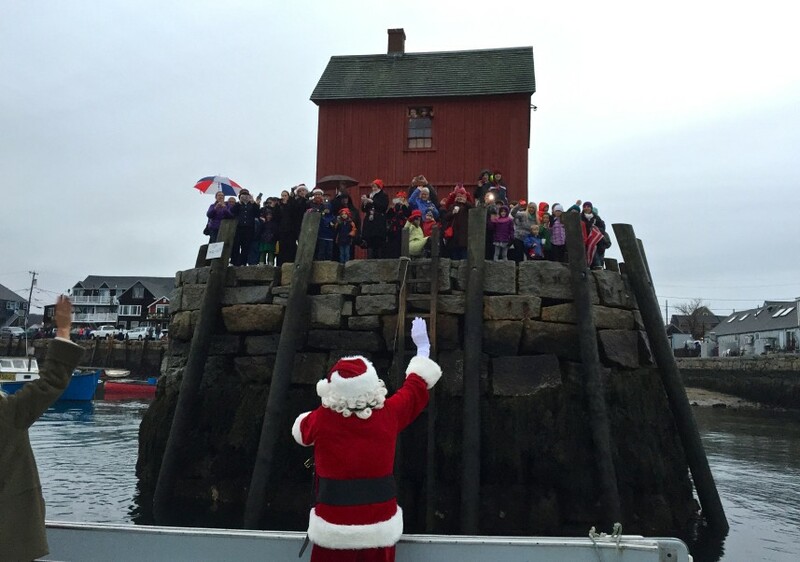 Each year, Santa Claus arrives by lobster boat and leads a parade through town riding on an antique fire truck. 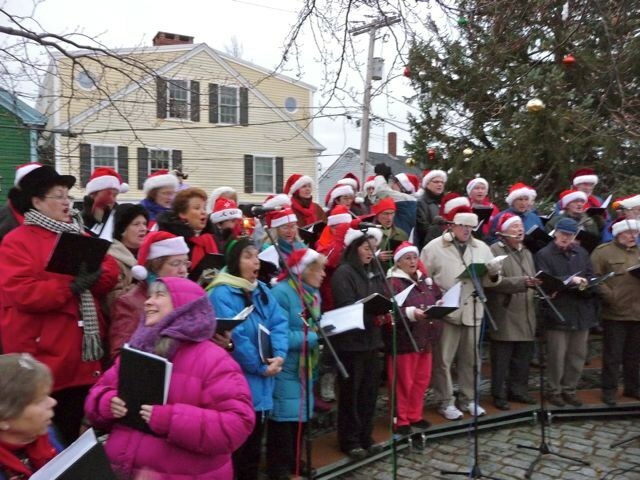 Later we watched Kris Kringle light the big tree in Dock Square as a choir sang Christmas carols and the whole town sang along. It was like we stepped into Whoville. In fact, except for a possibly tipsy Santa’s rambling speech about Yugoslavia (no longer a country, but then Santa’s been around a long time… he used to bring presents to Prussia, too, I guess), the whole thing was almost preposterously quaint — straight out of a movie about small-town America, or maybe even a Norman Rockwell painting. Anyway, I was smitten. 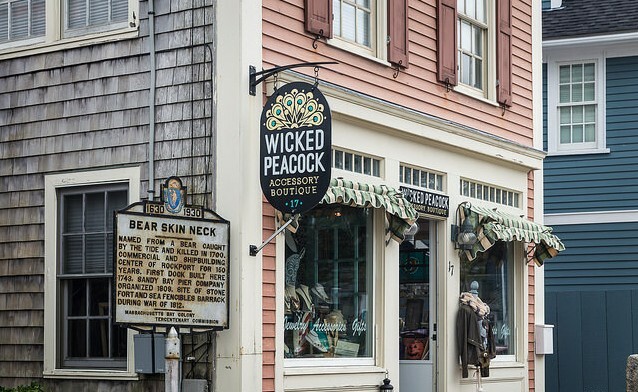 Between the ocean air and the tiny, artsy, shingled shops lining the narrow streets down to the harbor, it felt like we were in one of the more charming towns on the Cape. And yet you’re just a commuter rail ride from Boston. 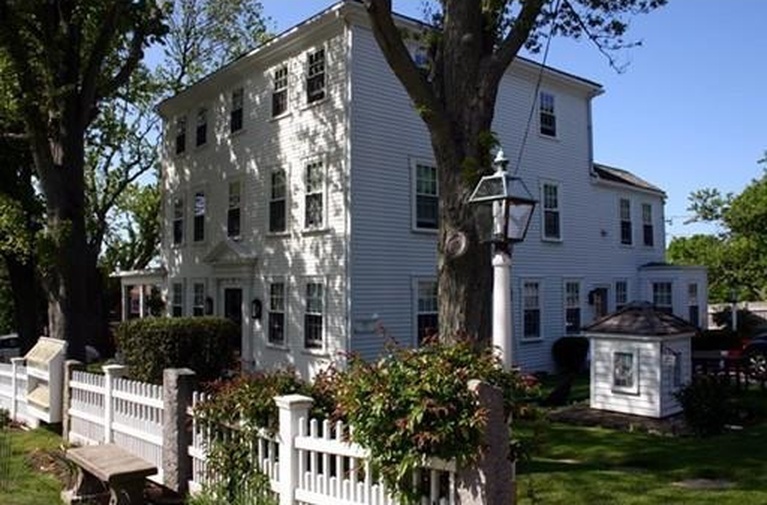 It’s no secret that I want to run a bed and breakfast one day (or an Airbnb commune, or whatever the future of small-scale vacation lodging might look like), and right now there’s a B&B for sale just a block from Rockport Harbor: The Inn on Cove Hill. 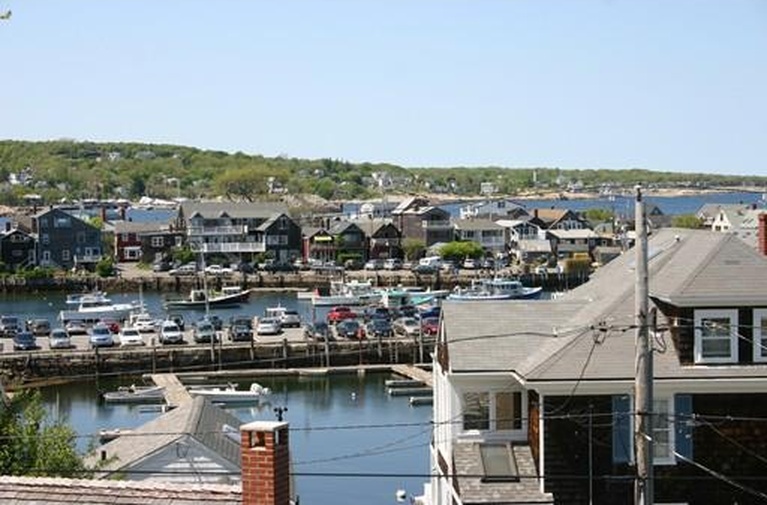 It’s right downtown, a short walk to Bear Skin Neck, and there’s a deck upstairs with beautiful views of the harbor. Bam. The house was built in the 18th century — older than America, if you will — and there are some nice details that accentuate that. Look at those doors (man I’m a sucker for spade-tipped iron door hardware, too), and the paneling, and the big windows. 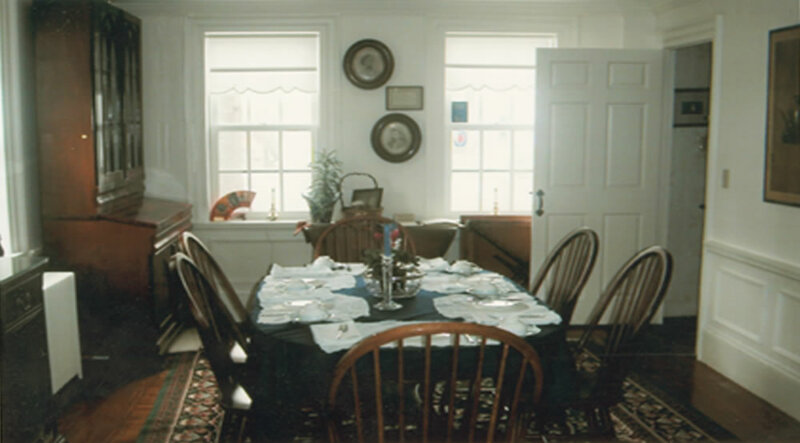 But sometimes innkeepers go overboard on the antiques — think about the stereotype of the dreaded B&B owner with 18 cats. And some of the interior is a little uninspired. The kitchen, for example, isn’t exactly a wow. It looks like any given suburban American kitchen updated in the 1990s. (Which, don’t get me wrong, is way better than a kitchen updated in 1974!) But an electric stove is another potential dealbreaker for me, even if I’m not making breakfast for a half dozen people every morning. 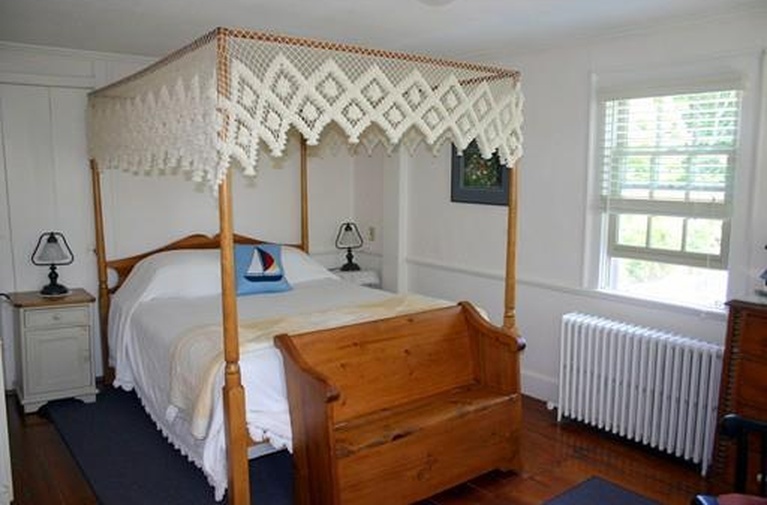 The bedrooms have that crusty old B&B look, but they could easily be modernized a bit. 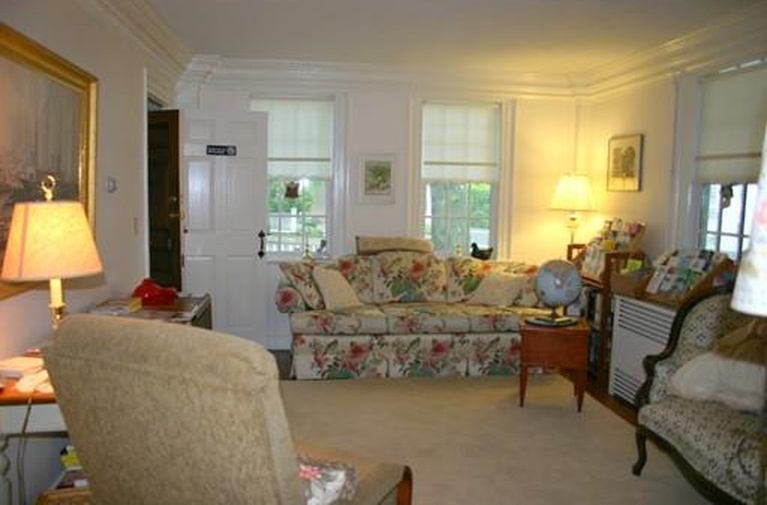 And there’s a nice summer cottage feel despite the undercurrent of Colonial stodginess. The listing says there’s a separate studio and potential for another apartment on the third floor, which is something I’m looking for in any B&B these days, given the rapid rise of Airbnb and vacation rentals. I’d want to hedge my bets and be able to offer guests a full short-term rental apartment if that’s how they roll. The living room seems pretty drab at first glance, but to be honest it looks a bit like our own house did when we first went to see it. The woman who lived in our home had thick, velour curtains and a thicker shag rug that kind of ate up the whole room. Once everything was out of there, though, it was cheerful and bright — and I think this room would make for a quick turnaround as well with its airy windows and beachy, all-white feel. Plus: 5-star rated Bed and Breakfast on Trip Advisor with harbor views in one of Massachusetts’ most charming seaside vacation villages — all just a commuter rail ride to Boston. 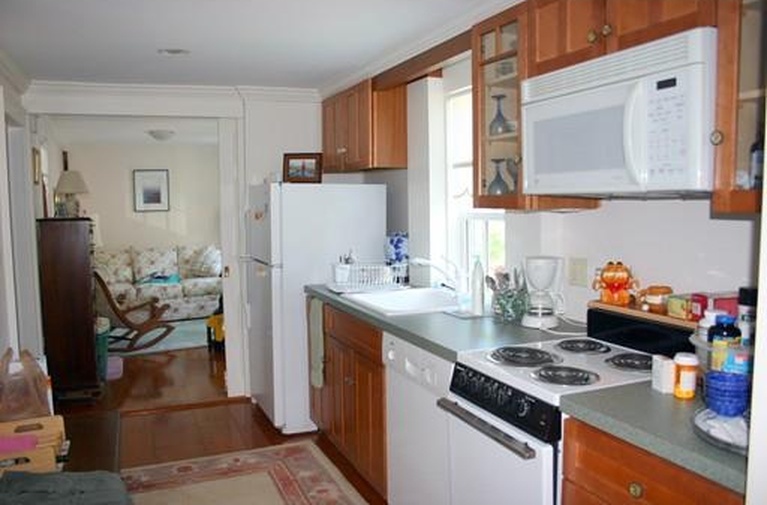 Minus: Drab décor, slightly dated kitchen with electric stove, mammoth price tag. And you’ll need to drive over to Gloucester to buy booze. 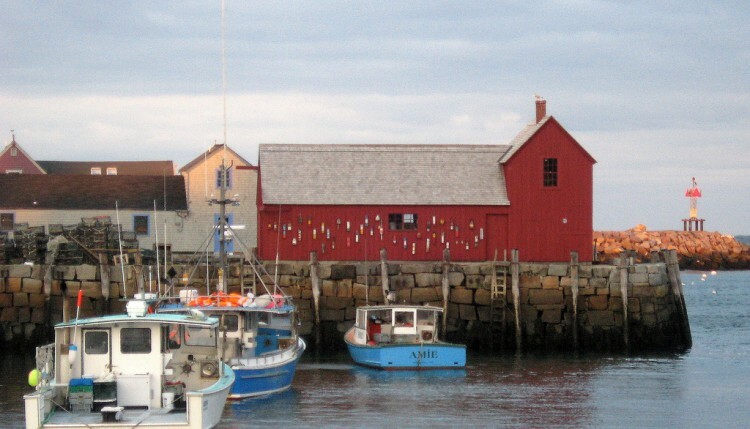 Address: 37 Mount Pleasant Street, Rockport, Mass. Verdict: For $1.2 million, you want a gem, and this would take some effort to polish up — but it could be worth the work.